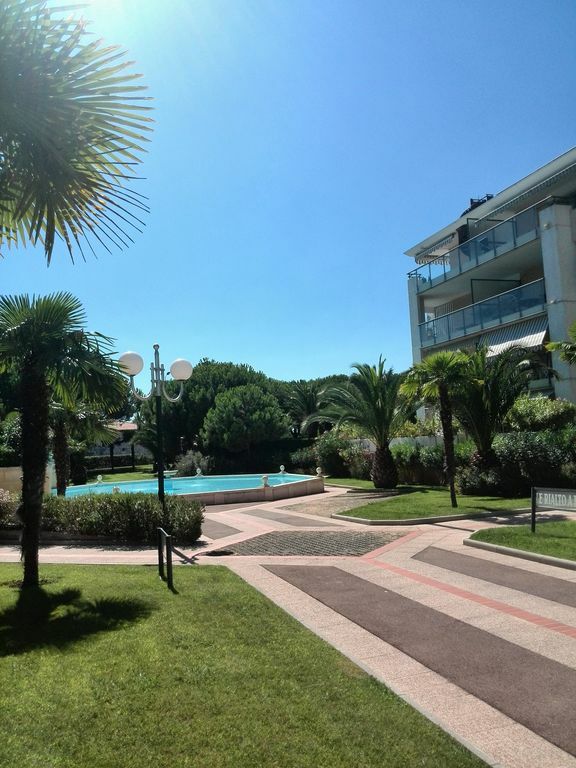 The apartment is set in the luxury gated development of Le Lido which is situated just 10 minutes (by car) from Nice Airport in the direction of Antibes/Cannes. It is just across the road from the small fishing harbour and beaches of Cros de Cagnes. Residents benefit from a private underground passageway which leads from their apartments to the harbour and beach. Cros de Cagnes offers a good selection of restaurants and local shops. The apartment is just 10 minutes walk from the railway station with regular services to Nice, Monaco, Antibes, Cannes. There are also regular bus services to Nice and Antibes. A pleasant 10 minute stroll along the seafront in the direction of Nice takes you to the port of St Laurent du Var which also has a good selection of restaurants. Alternatively, head up to medieval Haut de Cagnes for wonderful views of the Riviera. Cros de Cagnes and Haut de Cagnes between them boast no fewer than three Michelin-starred restaurants. Cycle hire available on seafront. The main bathroom has a bath with shower, hand basin, wc and washing machine located below vanity unit. The separate shower room contains a shower cubicle, hand basin, wc. The large lounge with integrated kitchen and dining area, leads onto the terrace and out to the garden. The entertainment centre comprises of Satellite Flat-Screen TV (UK and French channels), a DVD and stereo Hi-Fi with CD player and radio. Fully equipped kitchen benefiting from a combined conventional oven/microwave, hob, fridge/small freezer and dishwasher. There are ski resorts in the Alps north of Nice, the nearest being approximately 1.5 hours by Car. Notes on accommodation: French TV Channels. Outside: Large (120 sq.m), private, enclosed Garden, which is suitable for children, and equipped with sun loungers and outdoor dining facilities. Sun terrace. Gated, shared pool. Underground passageway leading to public beach and fishing harbour. Cleaning / Towels / Linen : Price includes linen and towels. Other: Large Patio and Private Garden on two sides of the appartment. Great apartment and location. We would definitely go back again in the future. Our family of 4 (2 adults, 2 teenagers) had a wonderful stay at this Cagnes sur Mer apt. The apartment was close to the pool, beach, bus stops, train halt and shops & restaurants. The apartment itself had everything we needed, the only negative (especially holidaying with teenagers) was that there was no WiFi connection, however, the British Sky TV was a great asset. The large secure apartment garden would also be ideal for families with young children. Beach just 500 metres away. Nice Airport is just 10 minutes by car. (Aircraft fly-in from and take-off over the sea so you do not hear them in the apartment). Airport transfers can also be arranged if required. A car is not essential to enjoy the area. Train station with regular services to Cannes/Nice/Monaco etc is a 5-minute walk away. Regular bus services to Nice and Antibes close by too. Cycle hire is available on the promenade and Nice Velo stations are close to the entrance to the apartment complex. Antibes port is 15 minutes by car. Nice Airport is 10 minutes by car. Nice is 15 minutes by car. Cannes via Antibes is approx 25 mins. We will arrange for you to be met at the apartment at the start of your stay by our local representatives who will show you how everything works, and return at the end to collect keys and ensure that all is OK. They are also on hand during your stay should you have any problems. Our local representatives also offer an airport transfer service or alternatively we can put you in contact with a local taxi driver should you wish to pre-book an airport transfer. Booking Notes: We ask for a 25% deposit upon booking and for the balance to be paid 8 weeks before your arrival date. If you confirm your booking within 8 weeks of your arrival date, then full payment is required. Changeover Day: Please contact owner. Notes on prices: Prices for the property are per week in euros. Discounts may be available for long lets. Maximum stay is four weeks. Please contact the Owner for months not shown in price list. Prices include bedlinen and towels, and departure clean.